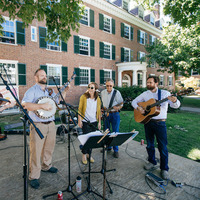 The Dartmouth community is invited to celebrate the start of the school year with a cookout and musical entertainment. To celebrate the first day of classes President Phil Hanlon and Gail Gentes host a cookout for the Dartmouth community from 11:30 am - 2:30 pm. on Tuck Mall. Hamburgers, hotdogs, garden burgers, and more will be served. Music by Reckless Breakfast.